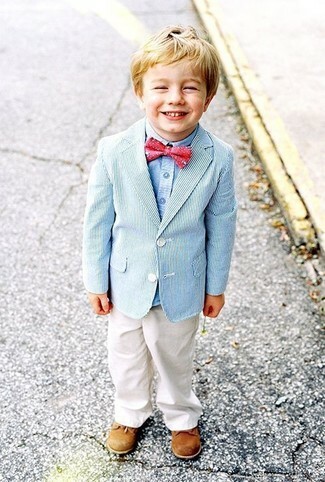 Teach your boy to take pride in his appearance by suggesting that he wear a black polka dot blazer and white trousers. Red sneakers are a great choice to complete this ensemble. 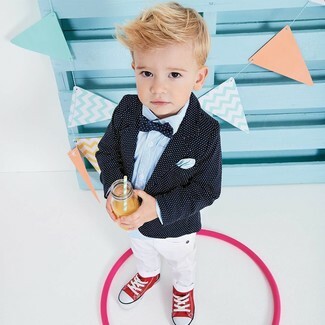 People will ooh and ahh over your little one if he wears this combo of a pink long sleeve shirt and Armani Junior Smart Trousers from farfetch.com. As far as footwear is concerned, let your child opt for a pair of white sneakers. 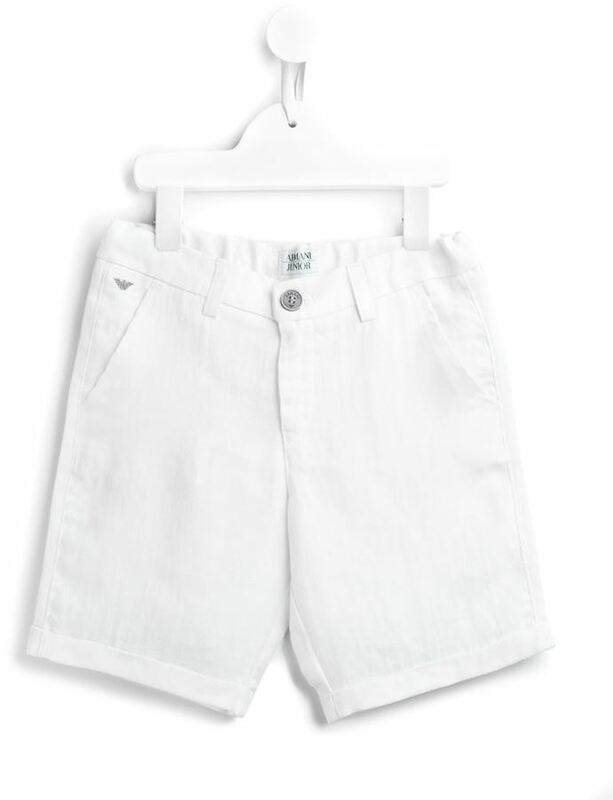 Reach for a light blue blazer and Armani Junior white trousers for your little guy to help him look like a true little gent. 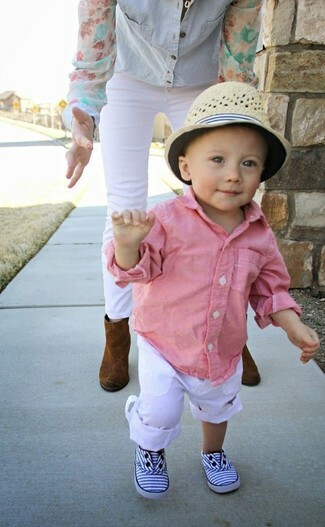 As far as footwear is concerned, let your tot choose a pair of tan oxford shoes.